An outstanding Russian pianist Vera Gornostaeva graduated from the Moscow Conservatoire and did a postgraduate study there with Prof H. Neighause. She won the International piano competition in Prague. Professor of the Moscow Conservatoire since 1969. A soloist of the Moscow Philarmonic Society. Gornostaeva is a world-known pedagogue of music, 26 of her students became winners of the international competitions. For more than 40 years Gornosraeva has been making musical programmes on radio and television both in Russia and abroad. She is a well-known writer of articles on music, author of several books. Perhaps there is no other composer whose compositions, and most of them were written for the piano, were so perfectly and in a different way interpreted by the best pianists throughout three centuries. Yet the mystery of Chopin's pianism is always the mystery of the spirit that triumphs over the matter. In case of Chopin's Ballades one can think of the works by his great fellow-countryman, Adam Mitzkevich. And what matters here is not a specific programme of one or another ballade (all theories in this field are not authorized and therefore not substantiated) but a national colouring and specific features of the psychological content. Building up a dramatic content out of narration is the main of these features. Chopin brings actuality into dramatic content of the four ballades and that is what is common in all of them. All of them begin with narration but a psychological content of the musical form is different in every case. Ballade No.1 (G minor, Op.23) and Ballade No.2 (F Major, Op.38) were written respectively in 1835 and 1839. Ballade No. 3 (A flat major, Op.47) and Ballade No. 4 (F Minor, Op.52) were written in 1841 and 1842. 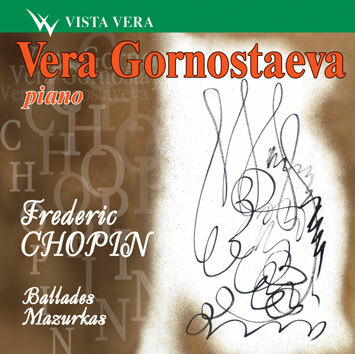 The compositions reflect the changes in Chopin's style, in particular individual form of his more late works. In this sense Ballade No.3 and especially Ballade No.4 are similar to his Polonaise-fantasy in A flat major and Fantasy in F Minor. Chopin's Mazurkas represent may be the brightest example of giving a new meaning to genre art in the music of the composer. Many of these compositions go far away from the dance and daily life base and transform themselves sometimes into dramatic narration sometimes into historic pictures sometimes into lyrical and elegiac poems. It is symbolic that Mazurka in F Minor became Chopin's last composition. Chopin defined the mood of his lyrical and elegiac mazurkas by a Polish word that could be translated as grief, sadness. Chopin's Mazurkas represent a quintessence of a miniature as most important characteristic of the music of romanticism. It is a capacity to express very much in a brief piece of music. That is why Chopin's Mazurkas are essential in appraisal of the art of any pianist.